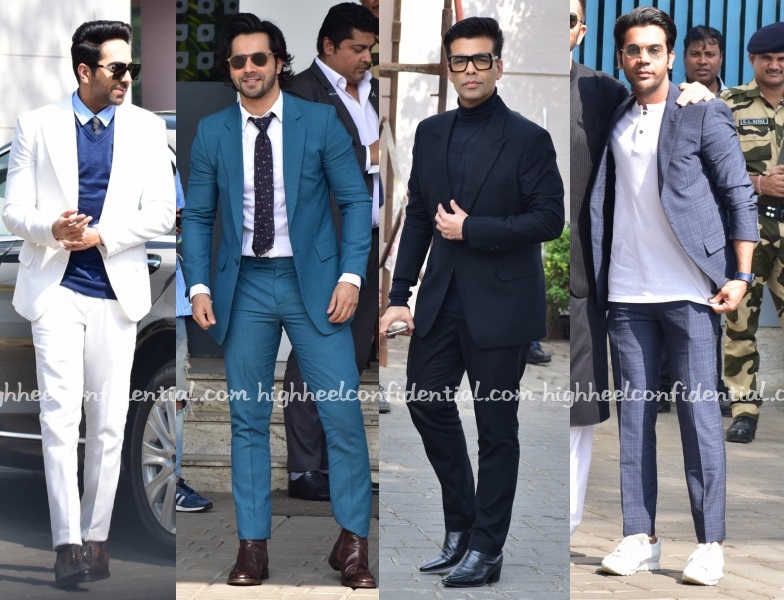 Varun, Darshan, Ishaan and Karan neither went the bow or tie route nor the traditional desi one. Have a favorite among them? 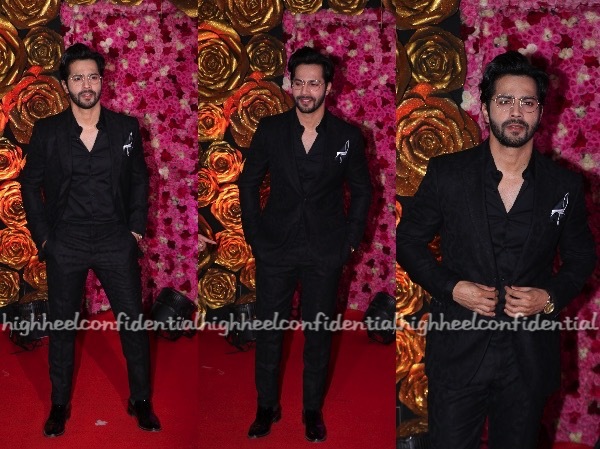 Varun Dhawan wearing a Steffano Ricci suit and Arjun Kapoor, a SS Homme one, attended the reception. While Varun fared well, can’t say the same about Arjun’s look. Intentional as the length was, the trousers seemed ill-fitting and should’ve been a little longer. This round goes to Varun. Varun Dhawan wore a Roberto Cavalli suit with Christian Louboutin shoes and a Brooks Brothers pocket square for a recent awards show. The black on black look worked for him. Do you agree? 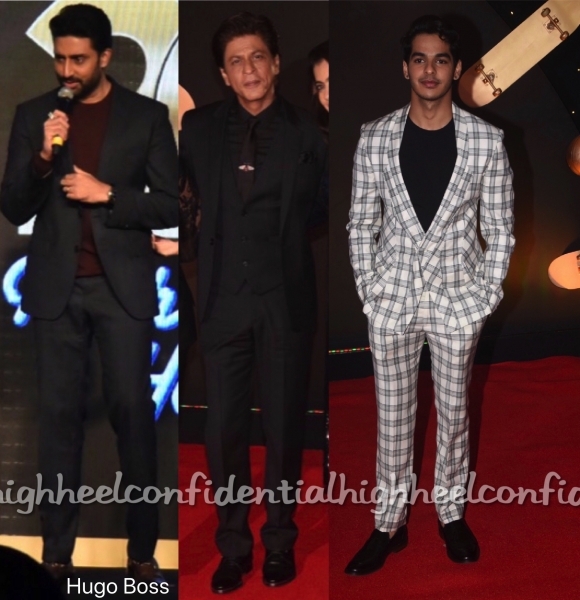 A party in honor of it being 20 years since Kuch Kuch Hota Hai’s release, saw several Bollywood men in attendance. 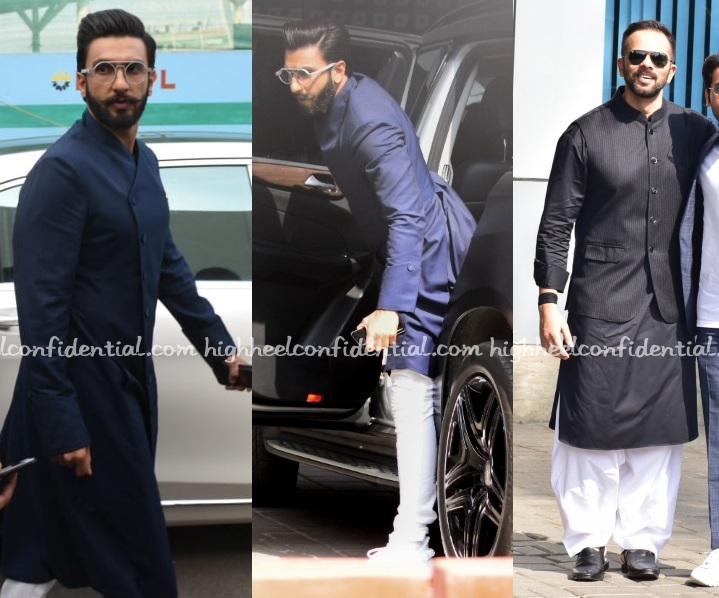 While all of them looked good, my pick of the lot would be Karan Johar in Philipp Plein.